The table was laden with food, a visual testament to the word of the Penn State Hillel students that the Druze have the best food in Israel. The Druze are known for their simple but delicious meals throughout Israel, and some sell the food in markets like the one being held in Tel Aviv University to start the semester. Their meals are heavily plant-based and are based on locally grown ingredients. Tayseer Salalha of the Beit Jann village prepared a traditional Druze lunch with 17 different dishes, including three varieties of bread. There were two types of pita bread– one the traditional pita that is typical in the United States; the other a much thinner crepe-like version, also called Druze pita. The third type was basic brown bread. A dish of homemade cheese and a bowl of spices provided a spread for the breads. The main course was a soup dish. 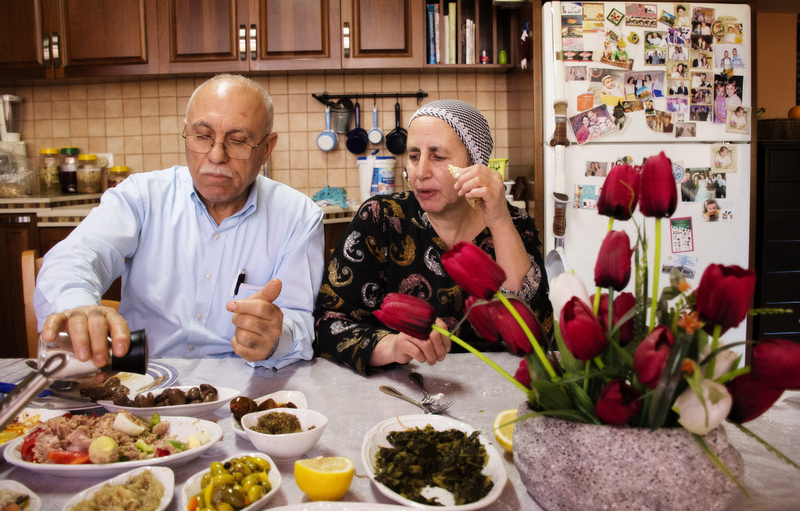 “It has beans and chicken—and a bunch of other stuff,” said Salalha’s husband Ali. The “other stuff” included cinnamon-like spices and broth. It could be paired with a number of dishes. Two were rice dishes. Both had short pieces of thin noodles mixed in, and one also had almonds. Dishes of pickled vegetables like celery and beets could also be added. Two additional small platters featured eggplant dishes. One was pickled, while the other was paired with lemon. Olives, beans and a leafy green like collards, but more bitter, accompanied the meal, as well as lemon slices with red pepper flakes that were meant to be eaten whole—rind and all. The other large dish was made of tuna, peppers and hard boiled eggs. Salalha has traveled through Europe and the United States, trying many different foods. His favorite type? “What she makes,” Salalha said with a smile at his wife.